ACR-GNY - Roundtable Breakfast -Restoration, Reconciliation and Healing: Is There Room for Them in America's Criminal Justice System? Roundtable Breakfast -Restoration, Reconciliation and Healing: Is There Room for Them in America's Criminal Justice System? Restoration, Reconciliation and Healing: Is There Room for Them in America's Criminal Justice System? Punishment, deterrence, retribution and, to a lesser degree, rehabilitation have dominated our response to criminal activity. This has essentially discouraged any efforts toward healing. This session will focus on why have we chosen this route and whether now is the opportune time for significant reform. Using a case study, we will attempt to superimpose a healing response to criminal behavior onto the current dominant response and examine the likely outcomes and pitfalls of each with an eye towards informing the work of healing and transformation. 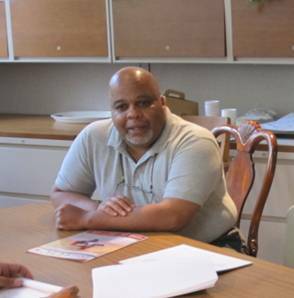 Lewis Webb, Jr. is the Program Coordinator of the Healing and Transformative Justice Program of the American Friends Service Committee, where he advocates for a shift from a paradigm of punishment to one of healing in America’s criminal justice system. His primary focus is addressing mass incarceration and the Campaign to End the New Jim Crow. (http://nationinside.org/campaign/campaign-to-end-the-new-jim-crow) Prior to joining the AFSC, Lewis served as a prosecutor in Brooklyn and has taught criminal justice and criminal law at various colleges and universities. Lewis earned his BS and MA in Philosophy from New York University and his JD from Brooklyn Law School.